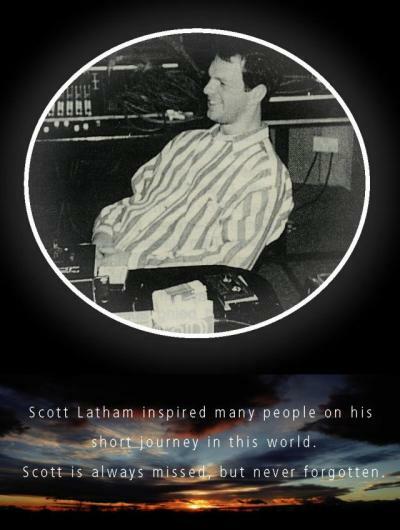 On 12th September 1996 Scott Latham, house DJ, producer and great human being was sadly taken from us. The world lost a true genius, gentleman and friend. Scott was a celebrated figure in the dance community working under an array of pseudonyms from Phatback to Phoenix. And commemorating the 15th anniversary of Scott’s tragic passing and as a fitting tribute to his memory, Tactal Hots Music was borne out of an anagram of his name. The legacy of Scott Latham will live on in the label and in the music; a phoenix rising from the ashes. This page is a dedicated celebration of Scott’s life, his passion and talent. The contribution that he made to the music world will continue to resonate.